Minority government is rare in the UK, but relatively common in many other parliamentary democracies. In this post Jonathan Boston considers the prospects for Theresa May’s government. He draws on the experience in New Zealand, where since becoming the norm in the late 1990s minority governments have proved durable. 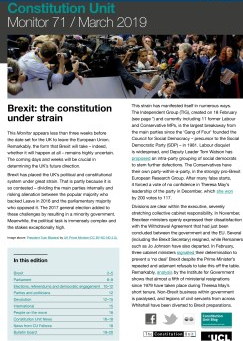 However, he argues that present circumstances in the UK mean that May’s current government is very unlikely to last a full term. Minority governments in Britain are relatively rare. But this is not the case in many other parliamentary democracies, especially those with proportional representation voting systems. During the post-war period, about a third of governments in advanced democracies lacked a parliamentary majority. They were thus dependent on one or more supporting parties, often through a negotiated agreement on matters of confidence and supply. Such agreements vary significantly in policy specificity, consultative arrangements and expected duration. In New Zealand, there were no post-war minority governments until 1996 when the mixed member proportional (MMP) electoral system was introduced. The impact was immediate and significant: no party has won an overall parliamentary majority since then and during most of these years the party or parties represented in the cabinet lacked a majority. It has, however, developed some novel governance arrangements to cope with the political exigencies of MMP. In most parliamentary democracies, members of parties supporting a minority government do not hold ministerial office. In New Zealand, by contrast, it is common for only one party to be represented in the cabinet; this party, in turn, is supported by several minor parties, each of which holds a ministerial post outside the cabinet. 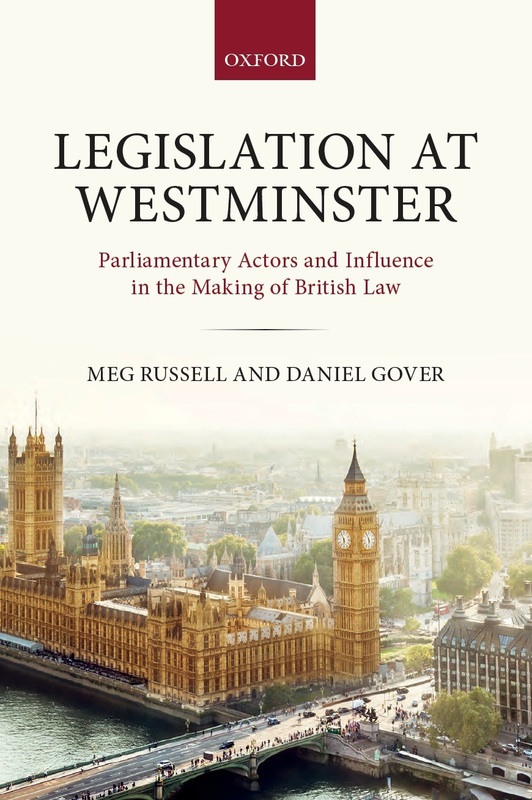 Collectively, the government and support parties have a parliamentary majority, but ministers outside the cabinet are not bound by collective cabinet responsibility unless specifically agreed between the parties. There is, in effect, ‘selective collective responsibility’, with ministers able to advance different views publicly on important matters of public policy. These arrangements have proved both effective and durable: the 1999 Labour-led Government survived three terms in office and the current National-led Government, formed in 2008, is close to completing its third term and will likely retain office after the election in September. After the general election: what’s next? 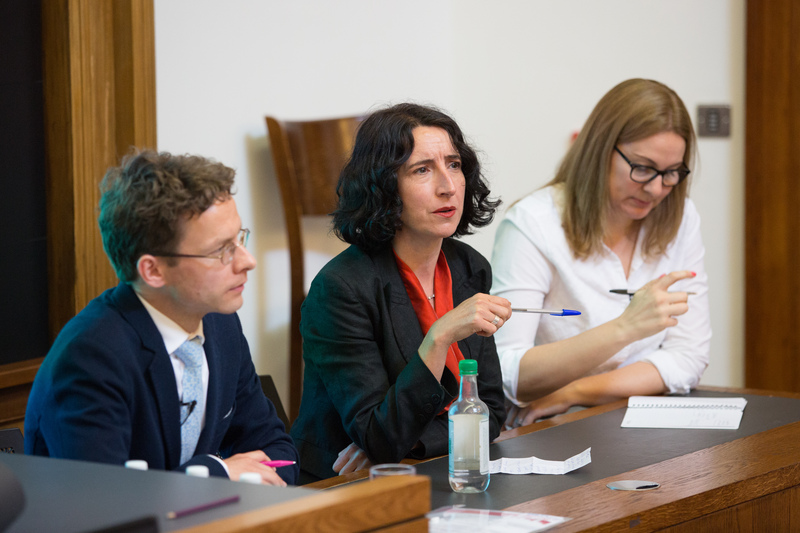 Just two days after the general election, Professor Meg Russell, Dr Jennifer Hudson and Dr Alan Renwick of the Constitution Unit spoke at UCL’s It’s All Academic festival about the constitutional and political fallout. Michela Palese summarises what they said. Theresa May called for a snap election on 18 April in order to increase the Conservative Party’s majority in the House of Commons and give herself a strong personal mandate for the upcoming Brexit negotiations. The election took place on Thursday 8 June, and its results caught both the Prime Minister and the general public by surprise. No party secured an overall majority of seats and the United Kingdom has its second hung parliament in less than a decade. The Conservatives are left relying on the support of Northern Ireland’s Democratic Unionist Party (DUP) to form a government. 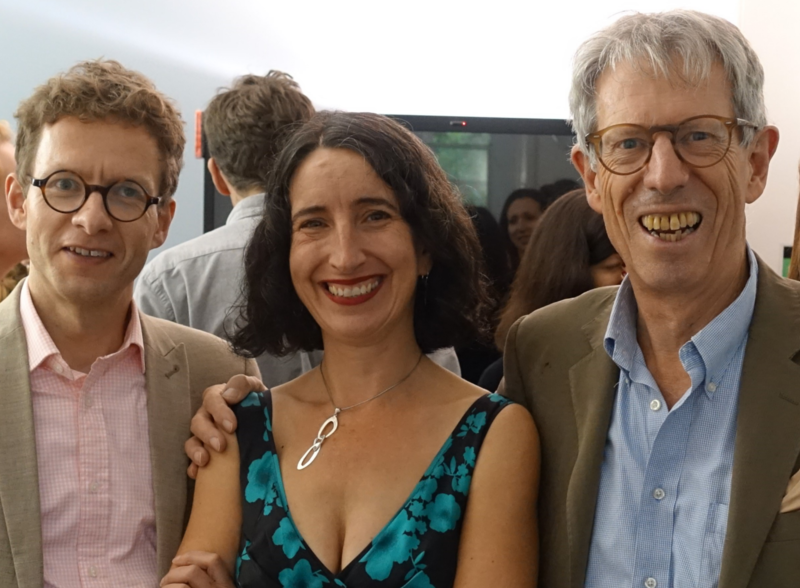 On the morning of Saturday 10 June the Constitution Unit hosted an event at UCL’s ‘It’s All Academic’ Festival. 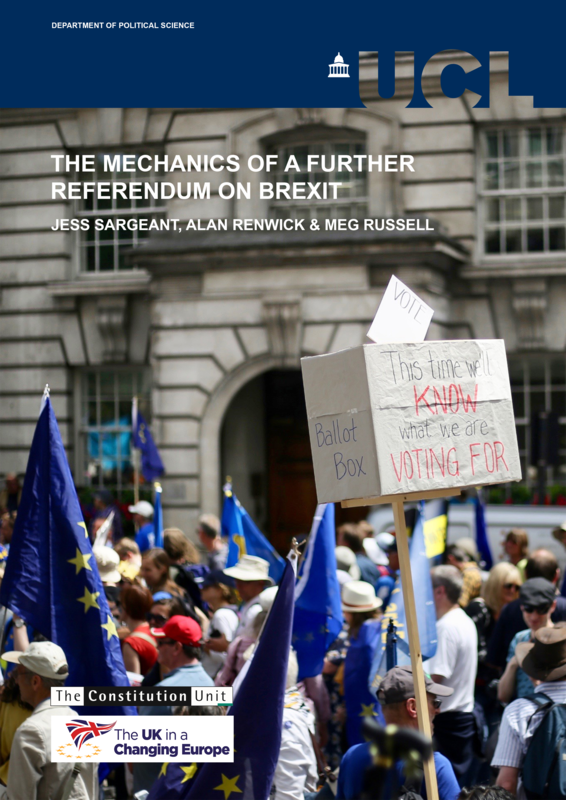 In this atmosphere of uncertainty, the Unit’s Professor Meg Russell, Dr Jennifer Hudson and Dr Alan Renwick provided some initial analysis of the results and explored some of the likely challenges facing the new government. Jennifer Hudson analysed the election from the point of view of campaigning and the composition and diversity of the new parliament. She argued that, contrary to the Prime Minister’s expectations, it was hard to make the case that the election was about Brexit. In fact, according to a survey that she had conducted in early May, most people did not seem to have strong feelings towards the Brexit negotiations or leaving the European Union without an agreement. 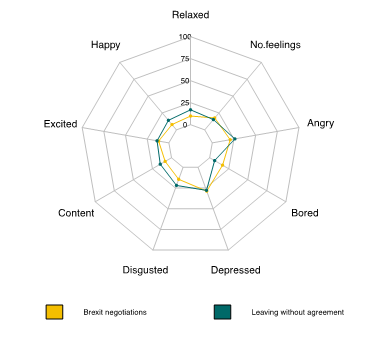 As shown in the diagram, around 25 per cent of respondents felt either depressed or angry about the negotiations and the prospect of exiting the EU without a deal, but the general feeling on the topic was of relative indifference. 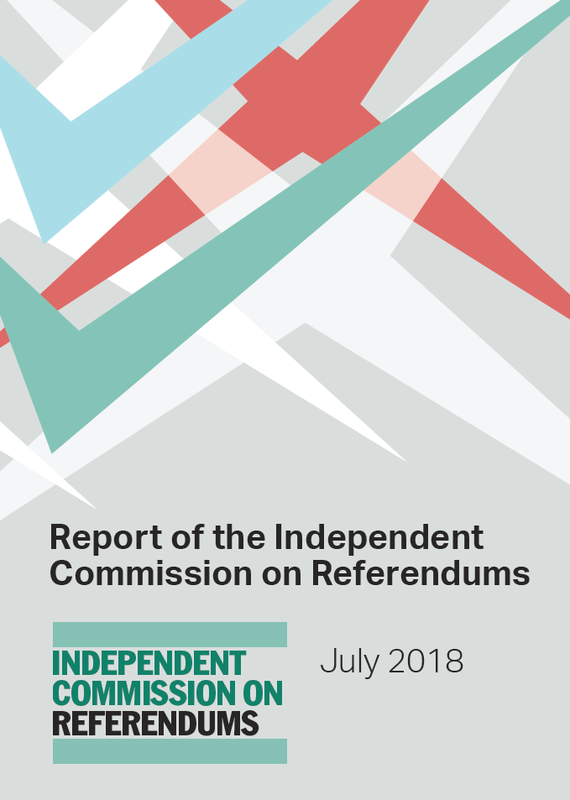 This may reflect a shift in the debate on Brexit, with a majority of ‘remainers’ accepting the result and wishing for negotiations to proceed, and only around 20 per cent continuing to claim that the UK should remain in the EU and that there should be a second referendum. Following the general election, where now for Northern Ireland? The general election result has done little to halt the steady unravelling of the political situation in Northern Ireland, and may accelerate it. In this post Alan Whysall discusses the implications of the confidence and supply agreement between the Conservatives and DUP, expected to be agreed in the coming days, and what might happen next. As Theresa May reaches out to Northern Ireland for support, the political situation there has been steadily unravelling. A pact with the DUP – which has been on the point of emerging for several days, and may appear today, or may not – is unlikely to stop the unravelling. It could accelerate it – not necessarily, but unless there are changes in outlook in Northern Ireland politics, not least from the British government, we risk losing many of the gains that have followed from the Good Friday Agreement. Earlier blogs have outlined the increasing disarray in Northern Ireland politics since the turn of the year, here, here and here. The following is a brief summary for those who have not kept up. Sinn Féin, which along with the DUP had constituted the power-sharing government in Northern Ireland, pulled the plug on it in January. Ostensibly this was because of financial scandal involving the First Minister, Arlene Foster of the DUP, in an earlier ministerial life. But the underlying causes had more to do with the way that the DUP treated nationalism, and Brexit. An election to the Northern Ireland Assembly followed in March. It was highly polarising. Although there have been existential crises in the life of the power-sharing government in Northern Ireland, elections have generally been conducted in a spirit of renewed commitment to work together. And voters increasingly came to like and expect that language – even if there was increasing disillusion at the performance of the devolved institutions. There was little talk of working together in this Assembly election, however. The reversion in recent months to rhetoric redolent of the days before the Agreement has been marked. Arlene Foster’s spirited attacks on Sinn Féin in fact contributed to a strengthening of its vote – the overall nationalist vote had been flagging in recent elections, but now dramatically bounced back. There was also some strengthening of the middle ground, but the more moderate Unionist and nationalist parties the UUP and SDLP did less well.